This is one of our classic Christmas card designs. 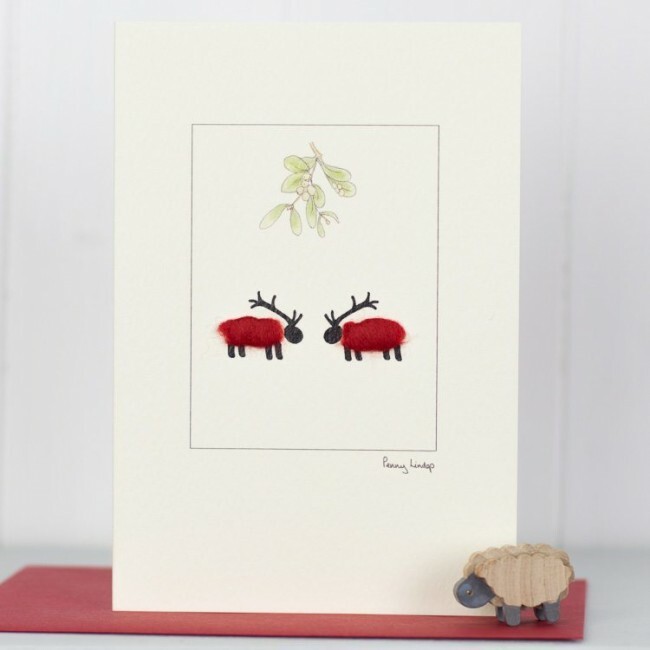 In our reindeer sheep Christmas card, our 2 woolly sheep are beneath a sprig of mistletoe, but this time they have dressed up in their Christmas reindeer outfits. Christmas would not be Christmas without a woolly sheep! We hand finish the sheep with real sheep's wool to create a fluffy 3D effect and raise a smile or two. 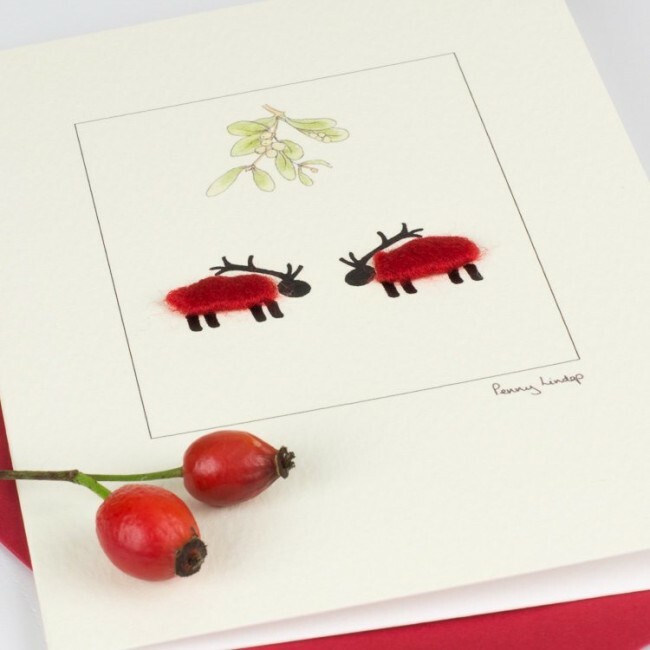 An unusual and charming design of Christmas card for all animal lovers. If you love this design, you may also like to add a pack of sheep gift cards to your shopping. You can find them here. The card is blank inside for your own special message. Supplied with a Christmas red envelope made from recycled paper. The card and envelope are supplied in a clear cellophane bag. All our cards are printed in the UK on a quality FSC certified board.